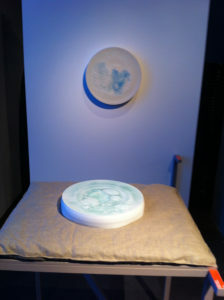 The tactile landscape pieces (40 cm) are large procelain clay displays of three dimensional glazes that form touchable landscapes. 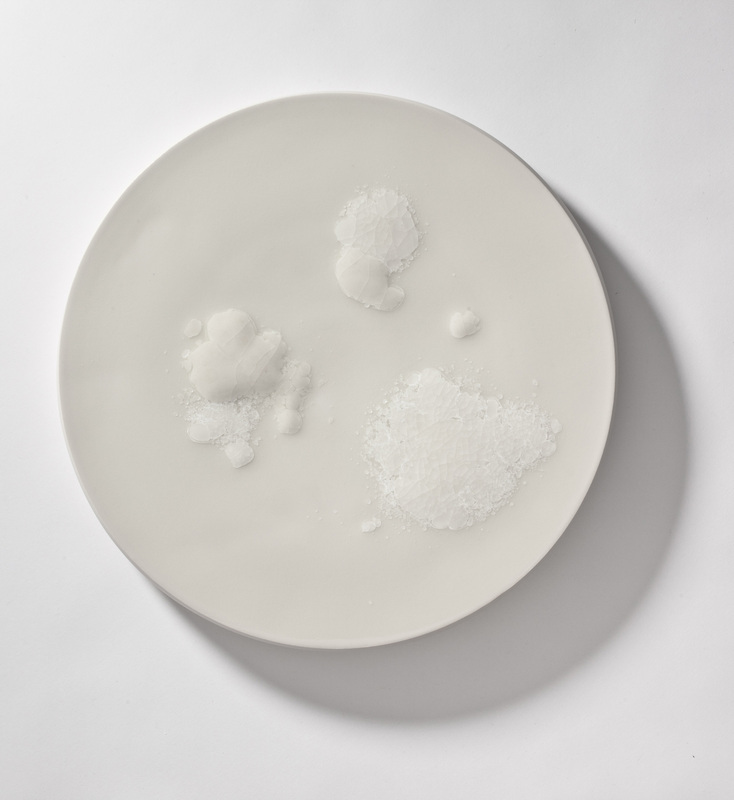 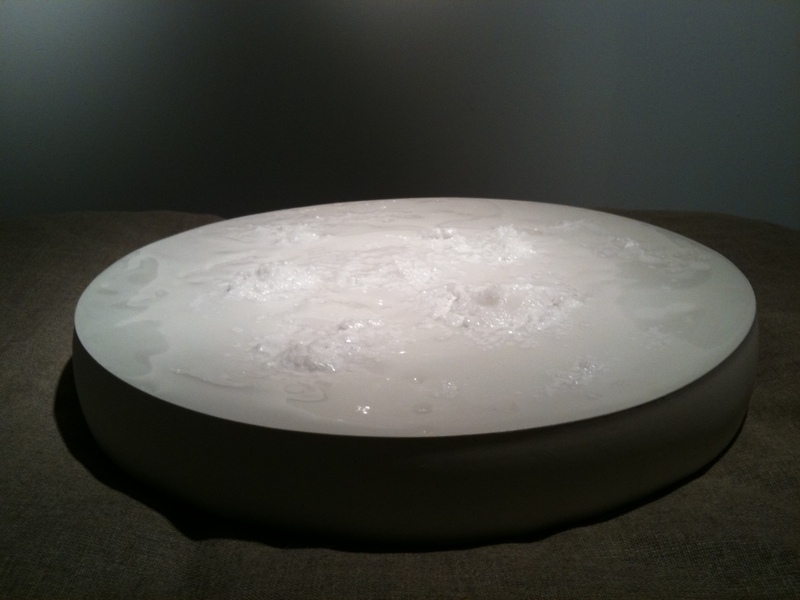 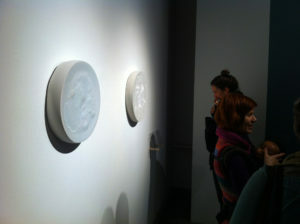 They may be interpreted as micro landscapes with hills bays and islands or macro displays of bacterial formations. 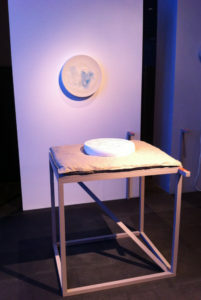 The tactile landscapes are here displayed during the “Ceramics & Space” exhibition in the Design Museum Helsinki during 2014. 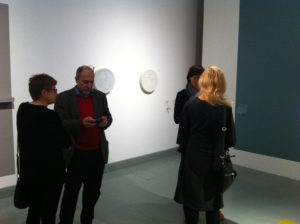 The pieces were bought by the Finnish National Arts Commission. 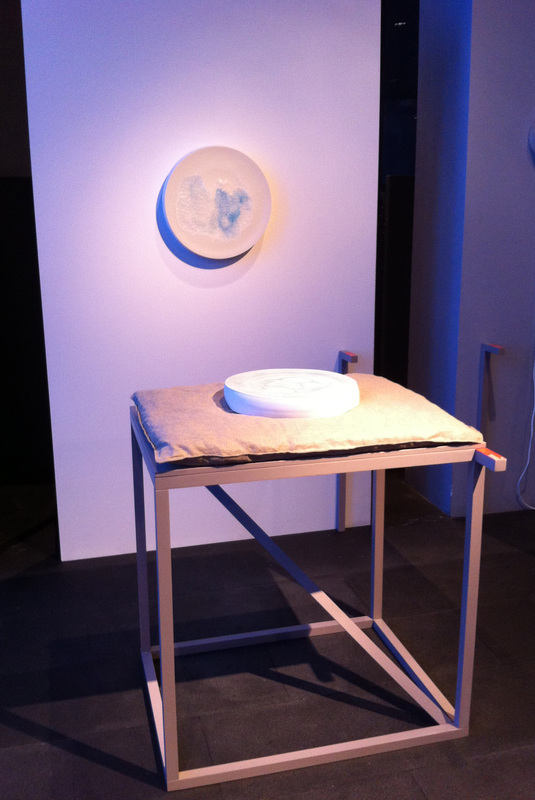 Here some of the Tactile landscapes were displayed in the “Views on Clay” Exhibition, arranged by the Design Migration Association in the Reykjavik Town Hall during Design March 2015, Iceland.